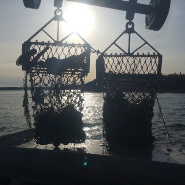 N-Virodredge™ is a totally new concept in scallop harvesting - the dredge has individually sprung teeth which gently flip the scallops off the seabed into the bag. 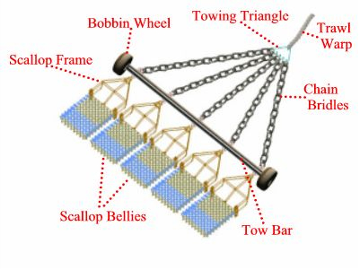 Skippers who tow N-Virodredges see a marked reduction in fuel costs and towing time as well as an increase in quantity of catch and shell quality. The N-Virodredge™ causes minimal damage to the seabed and other marine life and its 25% reduction in fuel consumption means a lighter carbon footprint. 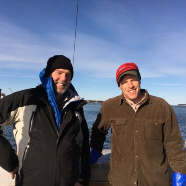 Developed in Scotland by former scallop fisherman Richard Gidney, N-Virodredge™ is now used and supplied by Gulf of Maine, Inc. in the USA. 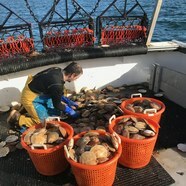 N-Virodredge™ - a totally new concept in scallop harvesting! 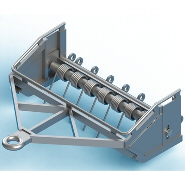 Not only is this patented dredge maintaining or increasing catches - the environmental and cost savings to boat owners makes switching to N-Virodredge™ a no-brainer!